On your upcoming trip to Paris, be sure to taste the famous French wine and work on your sommelier skills. Using this article as a guide, you will discover where to go wine tasting in Paris and where are the coolest wine bars in Paris. Below are some of INSIDR’s favorite wine bars in Paris, that allow you to sample and indulge in French wine without booking a proper tasting class! At Juveniles, you get the best of French cuisine and wines. This small bistro serves traditional French dishes and carefully selected wines. Freddy’s is located in one of the most upbeat neighborhoods of Paris, the Odeon neighborhood. The selections of wines here is excellent, and the staff is always very helpful. For a unique twist on wine tasting at a fun bar, you can go to Wine by One and taste many different wines with your Wine by One card, loaded with cash, before drinking a full class of your favorite. You will do this by pouring the wine yourself from wine machines, much like a soda machine! Checkout some of INSIDR’s favorite places to go wine tasting in the city of Paris. 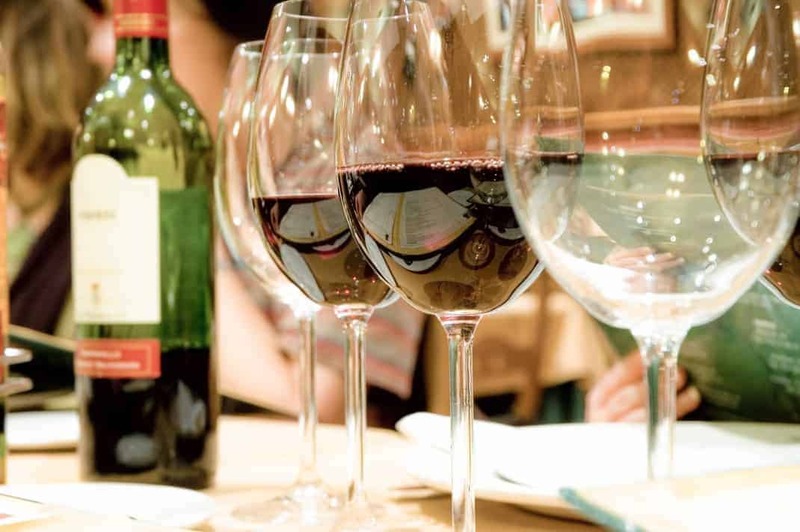 What could be more authentic than trying wine in a Parisian’s home? With INSIDR’s partner, Vizeat, you can do that AND for a fraction of the cost of other wine tastings. You can book through the VizEat website. Localers, a guided tour company based in Paris, have created the perfect wine & cheese pairing for you to indulge in. Amber, your wine expert du jour, will take you on a friendly 2 hour adventure during which you will understand French terroir, production techniques, and get helpful tips on how to purchase and order wine with confidence. You will taste an array of 7 wines & cheese varieties from Alsace to Provence and everything in between, in an unpretentious yet elegant Parisian setting that’s inviting to all. For a more structured wine tasting class, you can go to Ô Chateau for presentations in English by sommeliers. Here you will learn not only about different wines, but also their specificities such as the terroir and the wine cellars. Ô Chateau also offers a Grands Crus tasting on a boat down the Seine, so be sure to book this in advance in the warmer months! The most historic wine tasting experience you can have in Paris is at the end of a tour of Les Caves du Louvre, established by Louis XV’s sommelier before the French revolution. Since renovated, the cellars now allow tourists to visit with a downloadable app so they can tour the space themselves before opting for a tasting at the end. Note, for Paris pass holders, this wine tasting experience is included for free. On the third Thursday in November every year in Paris, look out for signs claiming: “Le Beaujolais Nouveau est arrivé!” or “le nouveau est arrivé!” This means that the Beaujolais Nouveau wine has just arrived and will be celebrated throughout France. Little do most people know, the iconic Montmartre is home to a working vineyard from 390 B.C and every year during the first week in October, there is a huge parade followed by a festival to celebrate the harvest! If you find yourself in Paris during this special time of year, be sure to party in the streets with the Parisians! Whether you are searching for the perfect bottle of wine to take back home with you or just a nice bottle to enjoy in your Parisian home, here’s where to go to shop for reasonably priced and excellent wines. In the heart of the Marché des Enfants Rouges, Bibovino is a wine shop that sells wine out of the box! Their boxes are purple, adorable and full of high-quality wines. Nysa is a world of independent, authentic and modern wine cellars all over Paris. Their passionate wine clerks are on hand seven days a week to help you discover their wide selection of wines, beers and spirits, and hand pick the right option for you. En Vrac means in English, “in bulk,” which is the right term to describe the large collection of wines that can be sampled or purchased to take away at En Vrac. If you are planning on heading out to a picnic, be sure to get a bottle of wine in a French lemonade inspired bottle for your adventure! When it comes to French wines, Bordeaux is where the renowned Grand Cru is cultivated. At La Bordeauxthèque you can shop from a selection of over 1,000 different types of Bordeaux wines. The sommeliers all speak many many languages, so you’ll have no difficulty purchasing the right wine for you.